The human brain is an intricate and fragile structure. A lot of factors add up to form a perfectly well-balanced brain. Even a minor lack of one constituent can lead to some major disorder or degradation of brain functions. We use our brain every moment of our life. We use it when we hear, see, eat, think, sleep or even breathe. Simple logic points out that something that works as constantly and efficiently as our brain, must have some requirements and needs to keep it in a healthy, working state. For our brain, these basic needs are proper blood supply to it and a balanced amount of nutrients and vitamins present in that supplied blood. The importance of other nutritional components is undeniable, but vitamins have a role of great importance. Each of us should take vitamins for brain health, no matter if we take them from rich vitamins foods or vitamins based supplements. It is a common observation that normally as people gets older their mental capacity starts to reduce. Recently it has been found out through various studies that the main reason for this occurrence is the reduction in brain size with the increase in age. As a person grows older, brain cells start to die out. Some cells, that are not dead, become detached from the nervous system and are rendered useless. Thus aging makes even the most intelligent of people succumb to lowering of thinking capacity and a reduced IQ level. It is of absolute importance to find a solution to this problem to keep the brain healthy. Through years of academic research, it was found out that an increase in the level of Homocysteine (an amino acid) is responsible for this alarming phenomenon of brain shrinkage. In simple terms, higher levels of homocysteine in the bloodstream lead to a decline in brain health. But luckily there is a counter to homocysteine that can reduce its level in the brain and can rectify the situation in an efficient manner. And that countermeasure is the intake of vitamin B. Certain members of this family can reduce the amount of harmful homocysteine and can save retard the shrinkage of brain cells by up to 25%. 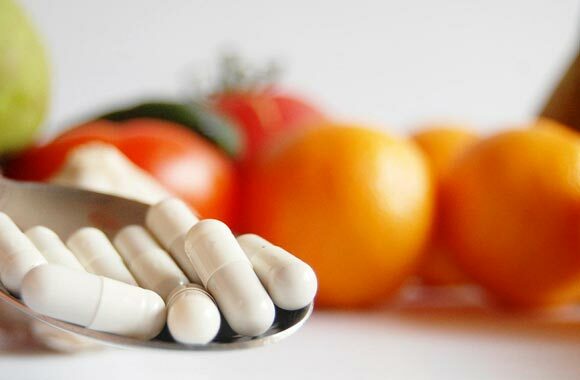 Some vitamins have the trait of mirroring the activity of hormones. That means they can act as stimulants to the brain and can improve the working of brain functions. One such vitamin is Vitamin D (extracted naturally by sunlight). Vitamin D acts as one of the worst problems facing brain health, that is, inflammation invading the nervous system and neurons. Recent studies have also led to the belief that vitamin D can also enhance intelligence and cognition, thereby outputting an improved overall functionality from the brain. A major reason for brain cell damage and termination is the oxidization of these entities. Vitamin E and C act as ant oxidizing agents in the brain and keep the brain fresh and up to the mark. Vitamin E also helps in improving blood circulation to certain parts of the human brain. Vitamins are not associated as much with brain health as they should be, because they are like the maintenance crew which keeps your brain fit and healthy.